All supported iPhone smartphones are better than all Android devices. That's a bold statement, I know, but it's true. Don't misunderstand, there are some great Android devices with superior hardware and specs, but that is sort of irrelevant. If you want a safe and secure smartphone that will receive consistent operating system updates, iOS is the only true option. Sadly, the state of Android is still fragmentation and an app store full of knock-offs and malware. Despite a recent slowdown in sales, iPhone remains the king. Unfortunately, Apple's iPhone smartphones are quite expensive. Many consumers that want an iPhone are simply priced out of the experience. And so, I can understand someone buying a $200 Android device -- there's nothing wrong with living within your means and staying on budget. If you want to join the iPhone family, however, I have some amazing news. Out of the blue, Apple has started selling the iPhone SE as a clearance item for an insanely low price. How inexpensive is it? 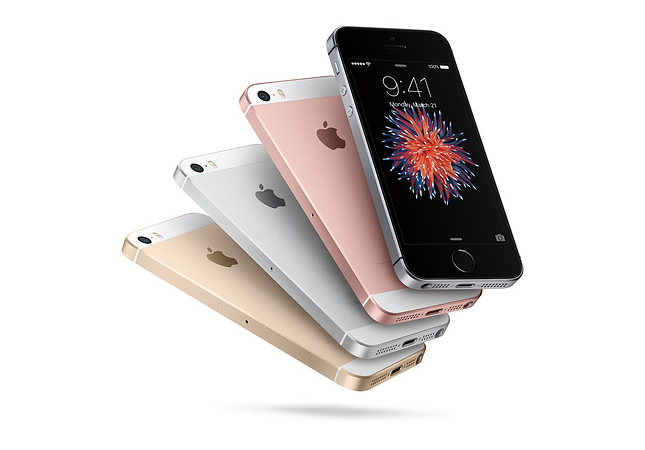 You can grab an unlocked 32GB iPhone SE for just $249! You can choose from four colors -- Silver, Space Gray, Gold, and Rose Gold. For just $50 more you can quadruple the storage to 128GB -- an upgrade I'd recommend. Are there some compromises here? Well, possibly. There is no wireless charging, for instance -- many people won't care about that, though. The most glaring is the "small" 4-inch display. True, that is diminutive in 2019, but for some folks, that is a good thing. Ultimately, the screen size is a personal preference. If you want something that can fit easily into a pocket, the iPhone SE is a winner. The other concern is that the phone is almost 3 years old now. Yeah, that is sort of ancient in the tech world, but that highlights how great Apple's devices are -- you will still receive updates for years. Buying a three year old Android device would be pure insanity, but for an iPhone, it is totally on the level. The 64-bit A9 chip is still very capable and you have Touch ID -- the gold standard in smartphone biometric security. Oh, and yes, the SE still has a headphone jack! You will have an excellent experience. Sadly, it seems the iPhone SE is sold out for now. All colors and storage options are showing unavailable, showing how good of a deal this is/was. Hopefully the discounted iPhone SE will be in stock again soon. If you want to score one, I'd recommend continually checking the landing page here. While the company is no longer producing the device, I am still hopeful that not all of its stock was depleted.